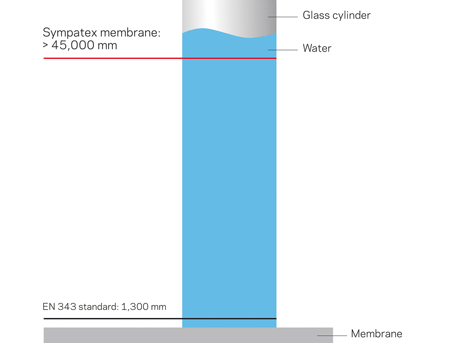 Sympatex® is the World’s Best Performance fabric with optimal breathability and an incredible waterproof rating of 45,000mm. PrimaLoft® ECO is a warm, lightweight and water resistant insulation made of ultra-fine multi-diameter fibres recycled from post-consumer products. RECCO® reflectors added to the garment will help rescuers find you should you ever get caught in an avalanche or other danger on the mountain. EcoTech® + EcoLoft Stacked with awesome features using EcoTech fabrics & EcoLoft Insulations. 20,000mm+ waterproof, windproof & breathable mechanical stretch. Insulation is warm & toasty, lightweight and soft to touch. All Pure Riderz garments are 100% recyclable & made from post consumer recycled products. Curious and want to learn more. Visit their official website at http://www.sympatex.com/en. Besides giving our apparel less bulk, PrimaLoft-ECO also keeps you comfortably with the least amount of weight while you are skiing, climbing, hiking or just meandering your way through the outdoors on a brisk day. We're quite proud to have this included in our apparel. RECCO® technology makes you searchable to professional rescuers in the event of an avalanche accident. The technology is utilized by 700+ rescue organizations worldwide to assist in the efficient location of burials. First introduced in 1983, the system has proven itself effective and is now adopted by an extensive network of ski resorts, helicopter skiing operations, parks, and search-and-rescue organizations in Europe, Japan, North and South America. To extend an extra element of safety to our fans we added RECCO® reflectors to our entire range of Pure Snow and Pure Mountain jackets and pants. They’re sewn directly into the garment so you'll always have them with you and you never have to change any batteries. Plus, you don’t need a user manual to learn how to use them. Just put on your jacket and pants and go. A RECCO® detector in the hands of a trained rescuer can make the difference between life and death.